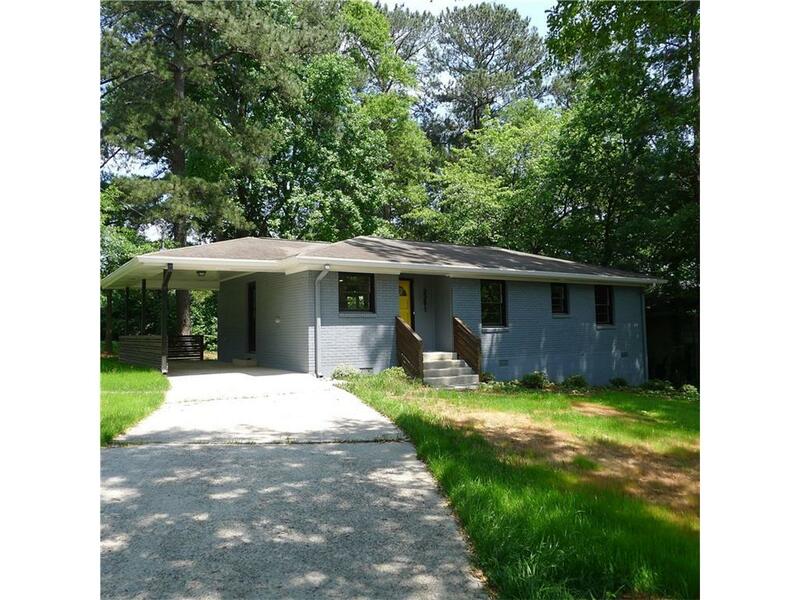 Completely Renovated, Not your typical Rental, Vaulted 10 foot ceilings in Great Room, Kitchen features Contempt Wood Grain Cabinets, Quartz Countertops, Stainless Steel Gallery Appliances including Gas cooktop, Oak refinished grey stained floors throughout home. Both Baths are fully renovated with Floating Expresso Vanities and Sulto Grey Shower Tiles and tiled floors. Master has a Barn Door to Master Closet and Bath. Light, efficient, and Modern. Directions: From Lenox Mall Take Peachtree Road North, Turn Left On North Druid Hills Rd, Left On Lindenwold Into Hillsdale Community, Home On Corner Of Lindenwood Dr And Fairway Circle. Home With Yellow Door!